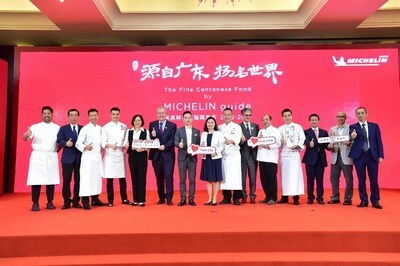 GUANGZHOU, China, Nov. 14, 2018 /PRNewswire/ — GAC Motor, the leading Chinese automaker, has exclusively partnered with Michelin to co-launch “The MICHELIN Guide Fine Cantonese Food” (the “Guide”). The world’s most authoritative dining guide’s first regional edition was made available from November 12 in Guangzhou, China. The Guide, which is the first of its kind in Michelin’s 118-year history, aims to help global travellers and food lovers discover the best of Cantonese cuisine and Chinese culture globally. In total, 291 restaurants from across the world were featured in the guide, with 78 starred restaurants, 62 Bib Gourmand restaurants and 151 restaurants awarded a MICHELIN Plate. “GAC motor considers the offering of the highest quality, high-end products to be of the utmost importance, just as the selection of ingredients are to the preparation of Cantonese food. Therefore, GAC Motor is proud to partner with Michelin to co-present the world’s first Michelin Cantonese cuisine guide, the publication of which marks a further deepening of our cooperation with Michelin and highlights our pursuit of creating an enjoyable mobile lifestyle, while promoting our local, unique culinary delights and Chinese culture to the world,” said Huang Yongsheng, the Vice President of GAC Motor. Echoing the unique cooking methods of Cantonese cuisine and the way Cantonese cuisine is introduced to the world, GAC Motor is walking the same path and aims to source, manufacture and blend the finest auto-parts, professional service and innovative designs to create exceptional vehicles. Michelin is one of GAC Motor’s 18 world-leading strategic auto suppliers. 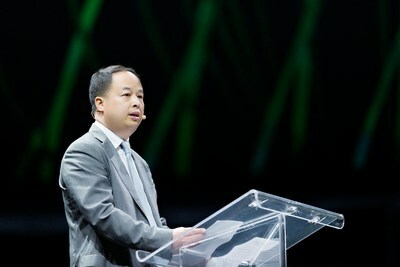 In 2017, GAC Motor was the only Chinese brand to present at Move’On, Michelin’s global sustainable mobility summit. GAC Motor and Michelin signed a partnership agreement on November 2017 which included exclusive partnerships and exchanges in areas of spare parts purchase, technological innovation, branding and global market outreach. 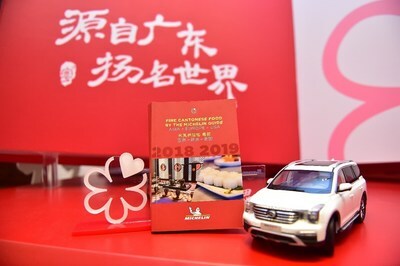 The co-launch of the local Michelin Guide represents a new chapter in the exploration of the partnership as GAC Motor begins a new phase of international development. With the aim of building a world-class brand, GAC Motor not only strengthens diversified and strategic cooperation with top international brands but also continues to work hard in international market development. GAC Motor has released a new brand slogan “Pursue Greatness” as part of the company’s 10th-anniversary celebration, heralding a new era and new beginning for the brand’s path in both domestic and international operations. The company is quickly expanding in the global market and has already achieved significant recognition in South East Asia and the Middle East. In the nine days from October 31 to November 8, GAC Motor opened a sales and service center in the United Arab Emirates, launched the GS7 SUV in Kuwait and debuted the brand in Saudi Arabia and the Philippines. As of now, GAC Motor has entered eight markets in the Middle East – Kuwait, Bahrain, UAE, Qatar, Lebanon, Iraq, Jordan and Saudi Arabia and two markets in South East Asia-the Philippines and Myanmar, achieved positive market feedback and set up a mid-to-high end brand image in the Middle East market. Founded in 2008, Guangzhou Automobile Group Motor CO., LTD (GAC Motor) is a subsidiary of GAC Group, which ranks 202nd among Fortune Global 500 companies. The company develops and manufactures premium quality vehicles, engines, components and auto accessories. GAC Motor has now ranked first among all Chinese brands for six consecutive years in J.D. Power Asia Pacific’s China Initial Quality Study SM (IQS), demonstrating the company’s quality-centric strategy from innovative research and development (R&D), manufacturing to supply chain and sales & services.